It seems like someone says this every day, but it’s true: the stakes of the 2018 midterms elections couldn’t be higher. And that’s putting intense pressure on organizers. NGP VAN has created tools to help you make the most out of GOTV, reaching more voters with less time. People love mobile canvassing with MiniVAN because it makes canvassing a better experience for organizers and canvassers alike. Canvassed for the first time this Sat for @Morse4America in #CA04. Blown away by @NGPVAN’s MiniVAN app. And from the energy & numbers I saw come out in district this weekend, I have no doubt these numbers are only going to increase by Election Day! So many teens, moms, G’parents. In fact, MiniVAN use in 2018 has outpaced MiniVAN use in 2016. This is particularly remarkable to see during a midterm. During GOTV, every minute counts. MiniVAN speeds things up. Distributed Canvassing automates turf cutting for you. Instead of entering data at the end of a canvass, you will be able to simply commit the data to the system. It is that easy. 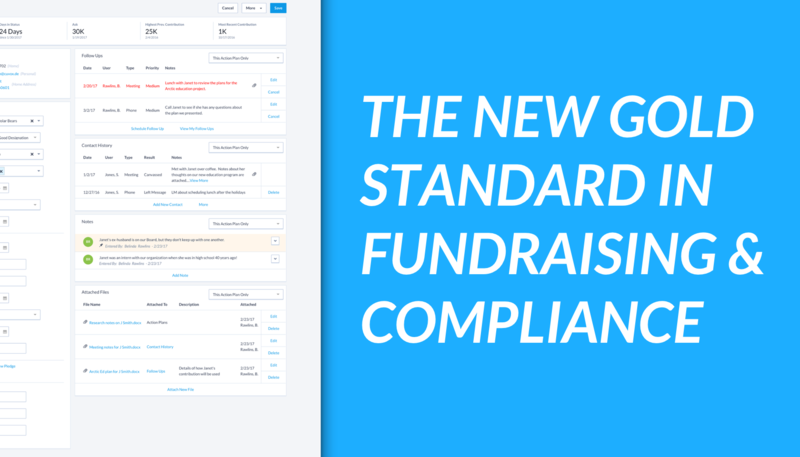 In addition to saving you time, MiniVAN will help you field a more agile and adaptable campaign. 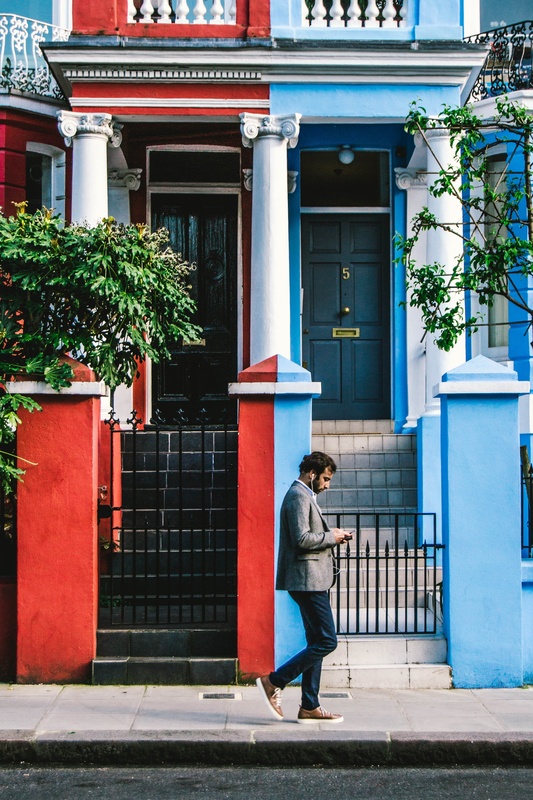 One canvasser can work through up to five scripts on the same canvass, allowing you to target your messaging door-by-door. You’ll also be able to send canvassers additional turf while they’re still on the doors. MiniVAN also makes canvassing easier for volunteers. 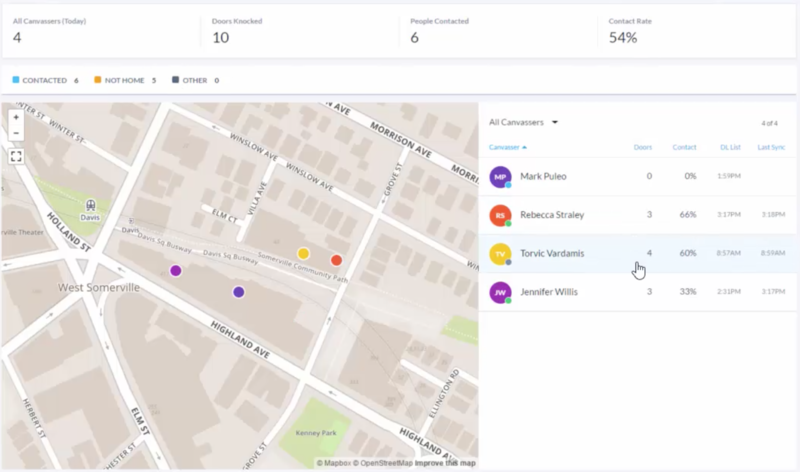 The Map and Find My Next Door features help canvassers confidently navigate unfamiliar turf. Since walk-packets are replaced by smartphones, canvassers no longer have to shuffle paper. You can even build responsive branched scripts that guide canvassers when they’re at the door. When people want to canvass with their friends, they can stay on the same page with team canvassing. 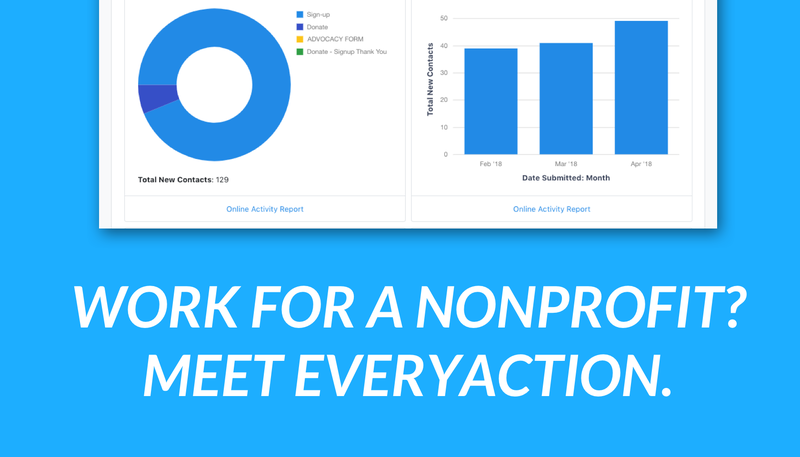 We’ve made it easy and intuitive, providing a good experience for volunteers, so that you can get volunteers to re-shift more often. 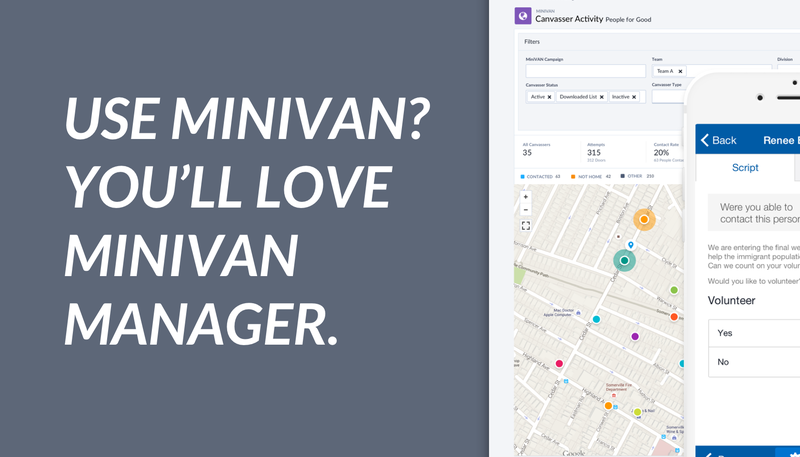 MiniVAN Manager is an add-on accountability tool that shows you the vital stats of every canvasser, including location, progress, and effectiveness in real time. Having a full, real-time picture helps you make real-time adjustments and run a more adaptable campaign. You know what it’s like to phone bank without a predictive dialer. Volunteers hand-dial call after call, only to get a few pickups. A Predictive Dialer speeds things up. It automatically dials phone numbers for you, and screens each call so that you only talk to the people who actually pick up the phone. This can make phone banking up to 3 times more efficient than hand dialing, saving both time and money. Typically when knocking on doors, volunteers see about 2 to 4 people an hour and hand dialing volunteers will reach typically reach 10 to 15 people an hour. 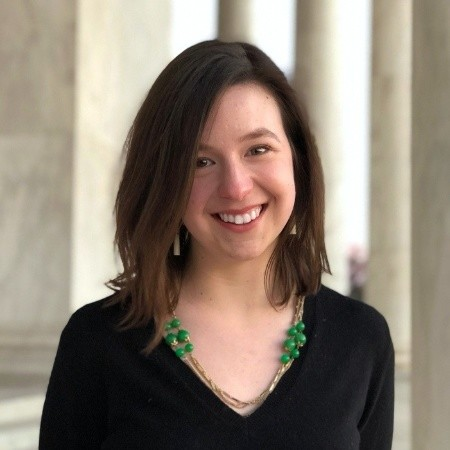 Rather than dealing with wrong numbers, disconnects, and dial tones, volunteers just wait to be connected to potential voters. Volunteers leave feeling more satisfied and accomplished. Ever wish that 50 more volunteers would show up to your phone bank? We know the feeling. Luckily, with our Live Call tool, you can reach more folks. Our live call tool takes your list and script and deploys them to a high-quality call center. And the call center does the heavy-lifting for you. All you need to do is create a list of who you want to call — your script, survey questions, and activist codes are already in VAN. Then we take those lists and deploy them to a high-quality call center. With this level of automation and integration, it's almost as if you could just push it a button and people start calling. Automated phone programs like a Predictive Dialer cannot call cell phones. If you want to connect with a younger group of voters, or any demographic that relies primarily on mobile phones, we recommend using our Live Call Tool to reach out. Smaller campaigns may have very small volunteer universes. We've seen these campaigns begin to use our live calls tools and use the power of a well-trained call center to get through their call universes so that the candidate can spend their time doing other important things for the campaign. Sixty-eight percent of Americans report feeling exhausted by the amount of news that they’re processing. This makes getting your message out there even more challenging. If an exciting endorsement is getting buried by news of someone else’s Twitter-tantrum, robocalls are a great way to spread the good news. They’re also a great tool to counter false attacks. If the truth isn’t getting enough traction, use RoboCalls to get your message directly to voters. We also see people using RoboCalls to invite volunteers and voters to meet-and-greets, endorsements events, or barbecues. Want more advice on preparing for GOTV? Watch our webinar on GOTV preparation and messaging. Sign up here or click the image below. GOTV can be exhausting. By investing in tools like MiniVAN Manager, Predictive Dialer, Live Calls, and RoboCalls, you can reach more voters, while doing less of the data-entry. We're here to support you every step of the way. Go, Mobilize, Win!